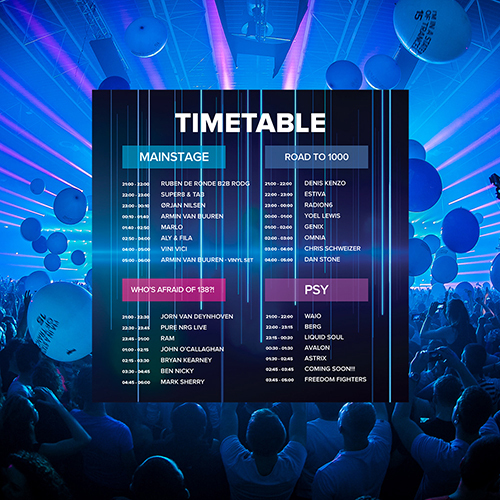 Check out the timetable of A State Of Trance 800 Utrecht! It’s finally here, the timetable of A State Of Trance 800 Utrecht. Now, you can make sure that your unforgettable night out is composed of your favorite artists’ performances. Whichever plan you come up with, it’s bound to be very, very special!